Here are a few essential steps to consider before launching an online store. Ecommerce is one of the leading business trends nowadays for millions of vendors willing to get the most out online without investing a fortune. As online markets are constantly growing in their popularity, you can see more and more merchants moving their businesses into the Web. 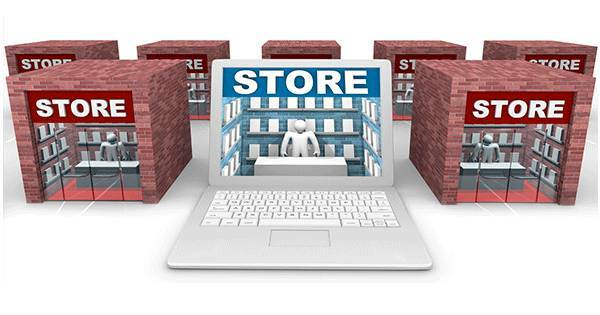 If you have a traditional brick-and-mortar venture, but wish to increase your online sales dramatically or take your business activity to the next level, then it’s high time to think over establishing an online store. Of course, launching a successful project requires thorough planning and development, though you will get plenty of opportunities to find reliable income flows and new lucrative markets. Are you ready to dive into the world of eCommerce and set up a state-of-the-art web store? My target here is to outline all hidden pitfalls, online business owners should be aware of and the most essential steps to take before launching an eCommerce project and building your online store. One of the most important things business owners and managers have to consider is researching needs and expectations of the prospective audience. If you think, that prospective customers will start buying products in your web store right after its launch, you are definitely misled. First of all, you need to figure out clients who have already bought products and analyze their preferences and feedback. By using some useful Google tools such as Google Trends and Keyword Planner, a web store owner can prevent himself from spending a fortune on unprofitable eCommerce segments, know more about product demand and track customer requirements. Another way to understand client requests is to research their social media activity, which contains the fullest information on client preferences. Always listen to the clients – they should be your main asset when you are creating a website. Plenty of brand new online store owners usually face with the issue of choosing the right business niche. As a rule, small vendors can’t overpass the high level of competition existing in large segments of online markets. This is very difficult and important at the same time to find your particular niche, where you can gain a competitive edge. In this case, you need to know everything about your products and provide prospective clients with some specific and unique items, they will hardly find anywhere else. Don’t be shy to associate your store with large online vendors – this can result in additional exposure and make customers trust you. Pay special attention to the experience of large successful companies and take into consideration their market strategies. The next crucial aspect while starting an online business venture is developing a step-by-step marketing plan. You need to understand, who your customers are, find the ways to reach them and turn into repeat ones this will help your Ecommerce website design. Web store owners and managers have to think over their traffic strategy as well – it doesn’t matter how perfect your project is, if customers don’t see your website, it will eventually fail. Ensure proper search engine optimization and run social media campaigns. Another gem tool is email marketing, allowing to provide existing and prospective customers with the information on special deals, new inventory and discounts. Don’t forget about major advantages of traditional advertising tools, such as banner advertising, that can be placed on popular websites to draw customers’ attention. Sometimes words are useless and this is where video marketing comes into play. Video content can explain all you wanted to express and give your audience the fullest and authentic look on products offered. Currently, there are hundreds of different software platforms available on the eCommerce market. Opting for the future shopping cart, an online store owner has to consider such main aspects as flexibility, performance, usability and support. Your eCommerce platform is very important for end users, willing to make purchases online in a comfortable environment with all essential e commerce features being always at hand. If you are an e commerce newbie, it’s very wise to test several platforms in a demo mode, research main features and decide which one fits your needs better. Notwithstanding all potential benefits of web stores, sometimes they can turn to be rather costly and not very lucrative option as it may seem at a first glance. One of the most critical challenges any online store owner will eventually face are design and development costs, as customers prefer unique, functional, yet easy-to-use projects. If you offer plenty of payment gateways and shipping methods, you will have to take into consideration costs associated with financial and shipping transactions. As I have mentioned before, if you wish to stand out from the crowd of competitors, you will have to spend your budget on building a strong marketing and promotion strategy, which final costs will depend considerably on the methods you are going to use and results you’d like to get. In addition to advertising, you should take into account, costs on supporting clients through various channels (phone, email, online chat, help desk, etc.). This phase helps evaluate your financial investments and profit margins. Very often vendors forget that if they want to stay competitive and successful, they have to impress customers with something unique. This is not enough just to follow all advice given above – lunching an online store is just the beginning of a long way. Plenty of competitors will use different eCommerce strategies and tools to throw your online store off from online marketplaces and get money from your pocket, that’s why it’s quite important to fill up an online store with new advanced eCommerce functions, tools and services, though this can cost you a fortune. Do you know some other critical aspects to consider before entering the eCommerce market? I will appreciate your feedback on this issue below. Check out Simtech shopping cart & eCommerce platform development company with the extensive range of custom eCommerce solutions provided.